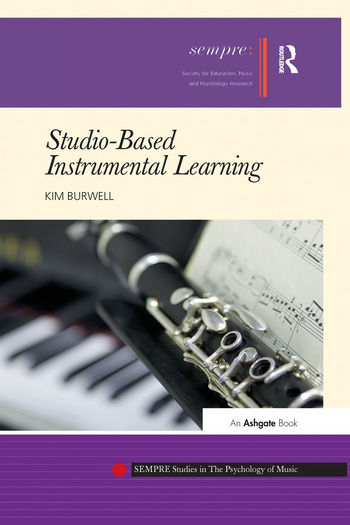 In Studio-Based Instrumental Learning, Kim Burwell investigates the nature of lesson interactions in instrumental teaching and learning. Studio lesson activity is represented as a private interaction, dealing with skill acquisition and reflecting a tradition based in apprenticeship, as well as the personal attributes and intentions of participants. The varied and particular nature of such interaction does not always lend itself well to observation or - when observed - to easy interpretation. This presents particular problems for practitioners wishing to share aspects of professional knowledge, and for researchers seeking to explain the practice. Focusing on a single case study of two clarinet lessons, Burwell uses video observations and interviews to analyse collaborative lesson activity, through the 'rich transcription' of performance, verbal and nonverbal behaviours. The foregrounded lesson interactions are also contextualised by the background consideration of social, cultural and institutional frameworks. The research is aimed a helping to create a framework that can support reflection among practitioners as they continually develop their work, not only experientially - through the tradition of 'vertical transmission' from one musician to another - but collaboratively, through the 'horizontal' sharing of good practice. Kim Burwell is currently Principal Lecturer in a Department of Music and Performing Arts, at Canterbury Christ Church University. A pianist, teacher and researcher, her research interests are closely aligned to practice, and have included studies of participant interactions in instrumental lessons, particularly with regard to verbal behaviour, and more recently, students' approaches to independent practice.